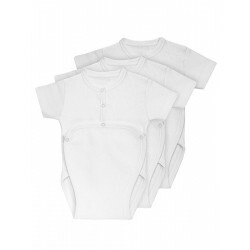 Pack 3 units short sleeve 100% Cotton Cross-Over Bodysuits. Short sleeve crossed one piece. Pack 3 Baby´s short sleeve one-piece.